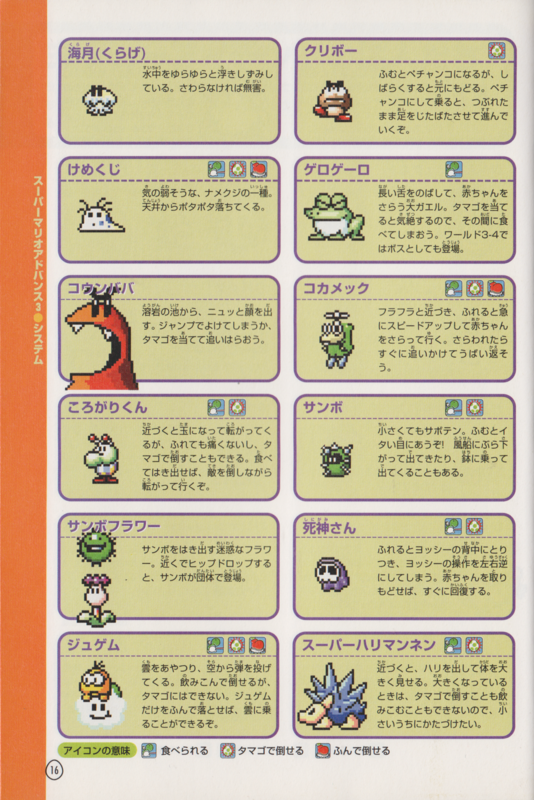 Sluggies are hairy slug-like creatures found in Super Mario World 2: Yoshi's Island and the remake Yoshi's Island: Super Mario Advance 3. They come in two colors: pink with red spots and yellow with blue spots. Sluggies can fall on Yoshi from the ceilings. Sluggy the Unshaven is the boss form of a Sluggy. The only place they appear in is Sluggy The Unshaven's Fort. They can be defeated by jumping on them. The red ones reappear in Yoshi's New Island in Ready, Steady, Go!. Kemekuji From namekuji, "slug". An enemy with the same name appears in Pikmin 2. 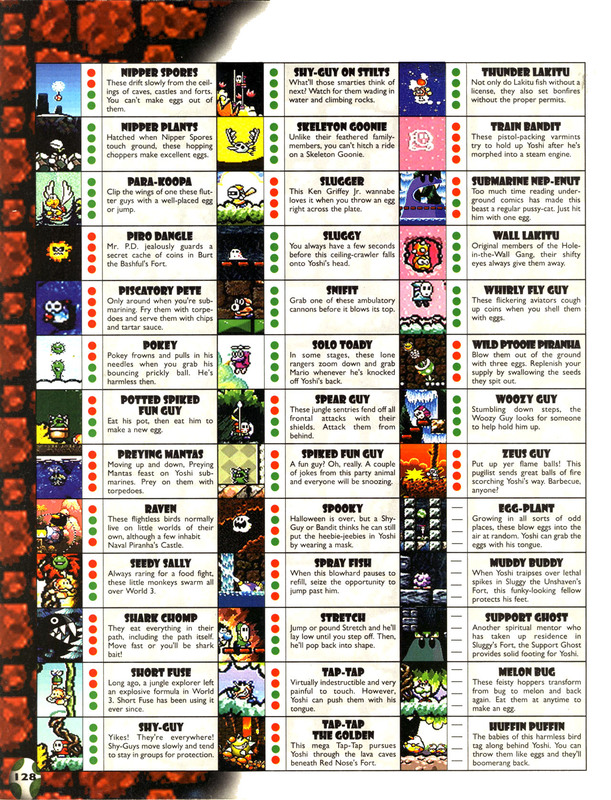 ↑ Super Mario World 2: Yoshi's Island Nintendo Player's Guide, page 128. This page was last edited on August 30, 2018, at 13:36.